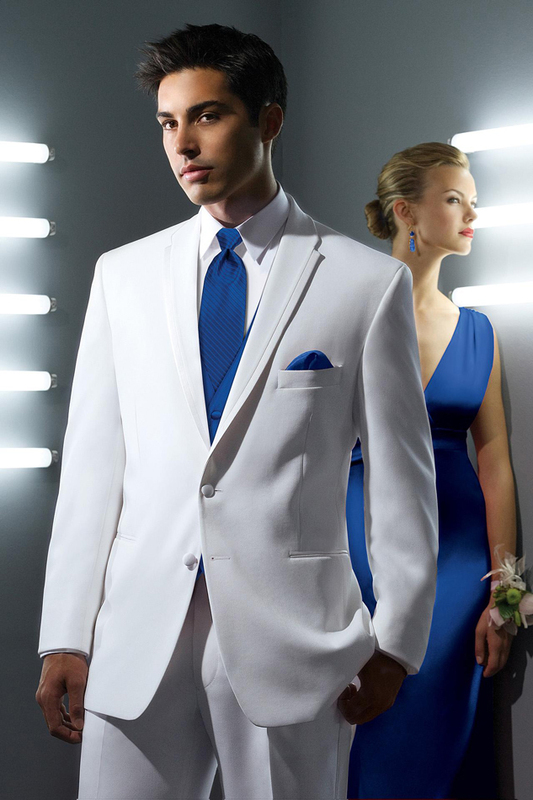 Subtle, elegant, and classy, the white ‘LaStrada’ After Six tuxedo coat has everything you need to look your best. This sophisticated tuxedo coat features a 2 button single breasted front, self notch lapel with satin trim, self besom pockets, and is fashioned from tropical worsted wool. Unlike other notch lapels, this would be a shawl, except that the satin trim ends at collar level to create the defining notch. This tuxedo coat is perfect for any prom, wedding, quinceanera, cruise, or other formal event!